Material: 97% cotton and 3% spandex. Breathable fabric and durable design. Baby sling can easily hold a child up to age 3 or 30 lb. Color: Brown. Size: Extra Small. 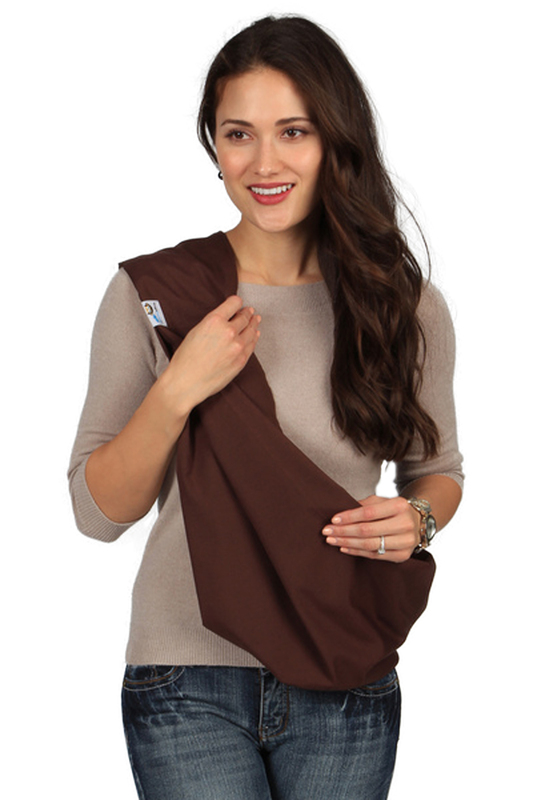 One glance at this Brown baby sling, and you'll be convinced it tastes as rich and chocolaty as it looks! While it may not taste as delicious as a Cadbury egg, it feels as smooth to the touch as chocolate does on your tongue. The color is sure to stay just as luscious for years to come, so you can count on it for all your babies and all your outfits. Part of what makes our cotton fiber look and feel so great is its ability to keep moisture and wrinkles at bay. Its durable design enhances comfort and security for both you and your little monkey - without all the fuss of rings, tails, and other unnecessary bulk. Check out these other features that make our cocoa brown sling so scrumptious. In a world where everybody's counting calories, go ahead! Indulge yourself and your baby in a sling as comforting as a cup of hot cocoa.